Only four more days and then the wait is finally over. On Friday, the DTM is starting its 2018 season. Traditionally, the season-opening races are held at the Hockenheimring Baden-Würtemberg (4–6 May). Fans can look forward to a fascinating event. Revised technical regulations promise thrilling on-track racing action while German formation ‘Die Fantastischen Vier’ will be providing excellent entertainment away from the race track at Hockenheim with a concert on Saturday evening. This year once again, the focus is on the drivers of Audi, BMW and Mercedes-AMG. And the 2018 DTM driver line-up is quite impressive. The field includes no less than seven champions, all of them eager to add another title. Gary Paffett (2005), Paul Di Resta (2010), Bruno Spengler (2012), Mike Rockenfeller (2013), Marco Wittmann (2014, 2016), Pascal Wehrlein (2015) and René Rast (2017) already claimed the champion’s crown. In the season opener, there will be even eight champions on the grid as the most seasoned DTM driver to date, two-time champion and crowd favourite Mattias Ekström, who put an end to his touring car career in March, will be making a one-off return to bid farewell to his fans in style. And talking about winners: next to the champions, six further regulars for the 2018 season, Jamie Green, Nico Müller, Augusto Farfus, Timo Glock, Lucas Auer and Edoardo Mortara have already scored DTM race wins. They will be facing three genuine rookies, all eager to follow in the footsteps of René Rast this season, the German having claimed the championship title in his debut year: Robin Frijns (Audi), Joel Eriksson and Philipp Eng (both BMW). The race calendar for 2018 includes ten events, one more than in previous years. New on the DTM calendar are Brands Hatch (11–12 August), where the demanding Grand Prix lay-out of the British track with its long heritage will be used, and Misano in Italy. From 24–26 August, the DTM will present itself from its most beautiful angle at the Adriatic Riviera. In the seaside resort of Misano, the 13th and 14th race of the season will be the first night races in history of the DTM. 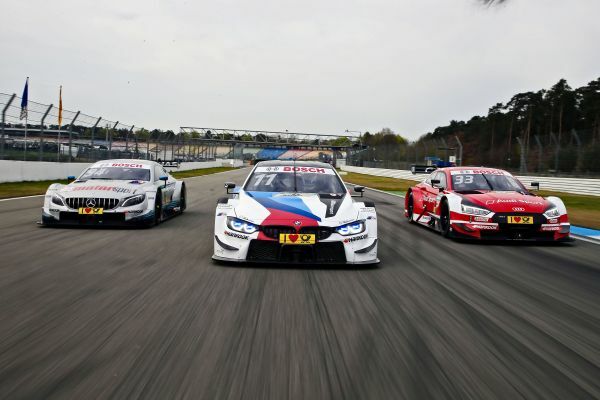 Audi RS 5 DTM, BMW M4 DTM and Mercedes-AMG C63 DTM have one thing in common: they are looking great, they have an extreme amount of power and a brute sound. Here, nothing will change for the 2018 season. Minimal adjustments of the rules, however, are making the races even more thrilling. Modifications in the aerodynamics lead to reduced downforce. As a result, the handling of the cars becomes more unstable and more demanding for the drivers at the same time. Overtaking, on the other hand, should become easier. The airflow in the front section of the car is less complex and therefore the aerodynamics are less sensitive when driving closely behind another car. The current generation in brief: spectacular race cars for true characters. Junior race series like the FIA Formula 3 European Championship or ADAC Formula 4 are alternating during the race weekends with series for classic race cars like the DRM Klassik-Pokal and Tourenwagen Classics. 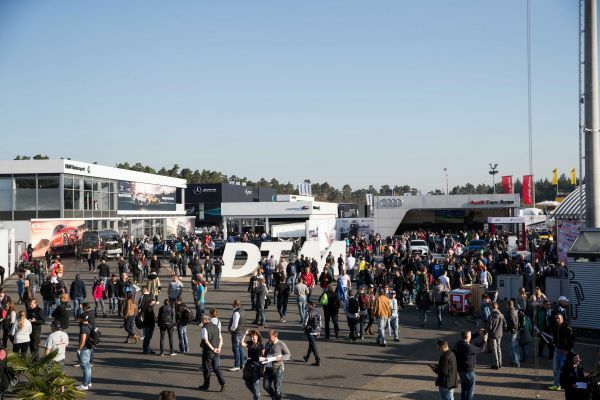 Away from the race track, there is plenty to discover for spectators, particularly in the paddock where attractions like Pit View, Fan Terrace and Pit Walk provide chances to get an up-close view behind the scene of the DTM. The new German TV partner SAT.1 will up the ante in 2018. Timo Scheider will be involved as an expert both next to the anchoring duo Andrea Kaiser and Matthias Killing on the starting grid and alongside commentator Edgar Mielke. To make planning easier, races start as a rule on Saturday and Sunday at 13.30 hrs local time, SAT.1 broadcast begins at 13.00 hrs. Viewers in Austria can be happy, too. ORF is showing all 20 races this year live. Internationally, the DTM is marketed by IMG. The American company is present in over 30 countries and has made a name in particular with marketing of the rights for the National Football League (NFL), the NASCAR series and the Olympics. 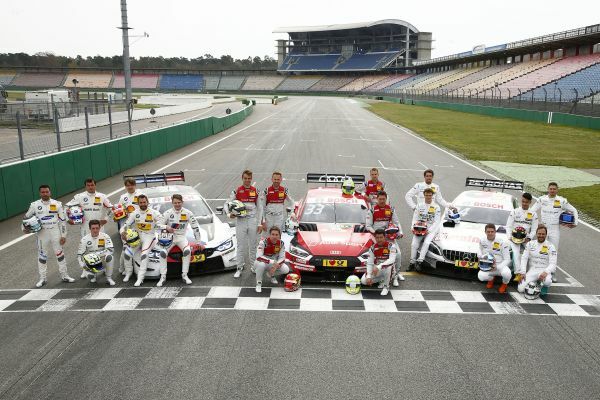 Fans can experience the DTM live and up close on Fridays from ten Euros already. For the events in Germany, weekend tickets are available from 30 Euros. A particularly attractive offering is the family ticket that includes four tickets at a reduced price for two adults and two children of up to 15 years of age. Tickets can be purchased online at www.dtm.com/en/2018-schedule and through the hotline +49 (0) 18 06 386 386 (0.20 Euros/call including VAT from a German landline, max. 0.60 Euros/call including VAT from the German mobile network).